Willow Creek Farm is an all-inclusive wedding venue with beautiful indoor and outdoor spaces where you can truly customize your dream wedding. 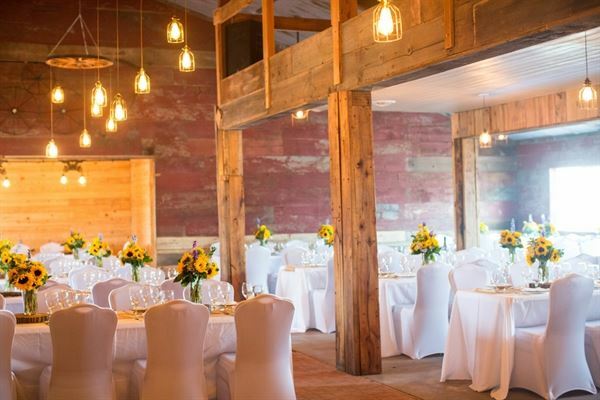 Our 2,500 square foot event space sits on 37 acres of beautiful Illinois farmland. With mother nature as your backdrop, we offer the tools to make your dream wedding day come to life. At Willow Creek Farm, every aspect of our planning process revolves around three key factors — providing warm hospitality, impeccable service and mouth-watering handcrafted cuisine, straight from our onsite caterer, V. Picasso. As our guest, client and friend, you will experience, first hand, our team’s unparalleled attention to detail.